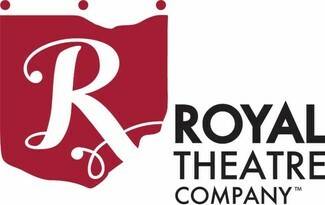 ROYAL requires parents of each cast member to volunteer a minimum of 3 time slots during the tech/show week. Please contact Kim Martin at 513.348.6303 or [email protected] if you have any questions. Must be an adult. Arrive when cast is called and stay in the green room to monitor actors during pre-show and entire show. Verify room has been cleaned up and costumes returned to main green room at end of night. THIS IS FOR MULTIPLE SHIFTS Hair/Makeup Designer will contact you with details. Volunteers will be scheduled so all can see one show. Assist with pre-show/show hair/makeup for cast under the direction of the makeup artist. Arrive when the cast is called. THIS IS FOR MULTIPLE SHIFTS Props Designer will contact you with details. Volunteers will be scheduled so all can see one show. Will work on one side of stage during tech week rehearsals/shows to maintain props. Arrive when the cast is called. Costume designer will contact you with details. Must be able to assist with quick repairs to costumes before and during your chosen show (eg., simple sewing, safety pins, etc.). Arrive when the cast is called. Should be a handy type with some construction abilities. Assist with set repairs or last minute changes needed throughout week. Arrive when cast is called. Arrive 90 minutes before show. Assist with Front of House duties. Sell pre-show and during intermission. Clean up after intermission. Arrive 90 minutes before show. Assist with Front of House duties. Be at Raffle/Sales table during pre-show and at intermission. Arrive 90 minutes before show. Assist with Front of House duties. Be at Stargrams table during pre-show and intermission. Arrive 90 minutes before show. Assist at Ticket Window or at the Will Call Table to handle ticket sales for Ticket Manager pre-show. Arrive 90 minutes before show. Assist with Front of House duties and maintain auditorium line. Hand out programs before show. Be near auditorium doors at intermission. Collect programs at end of show. Arrive when the cast is called; assist with quick changes that occur for specific actors during the show; stay backstage entire show.